Located just outside of Cincinnati, the Corcoran residence is home to a beautiful private residence tennis court that is illuminated by eight of LSI’s LED CourtBlade fixture. 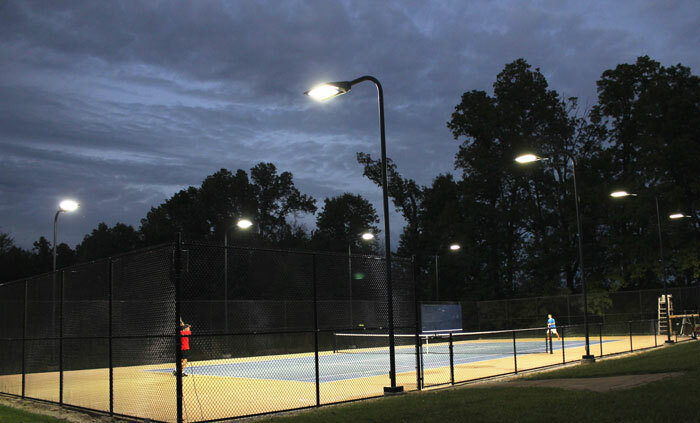 Before being installed in October 2015, the Corcoran residence utilized LSI’s metal halide Courtsider XL fixtures which were retrofitted with LED CourtBlade fixtures. The electrical load was reduced by 50% without any compromise in light levels. The new LED fixtures also offer instant on control.